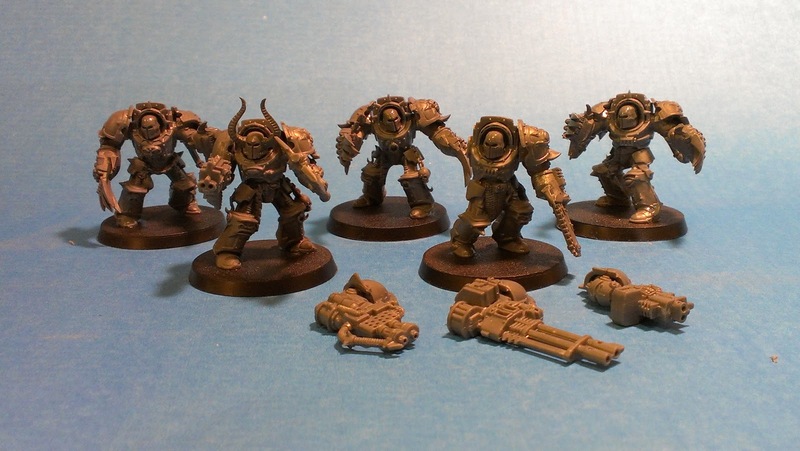 No Chaos Space marine army is complete without a Squad of Terminators. 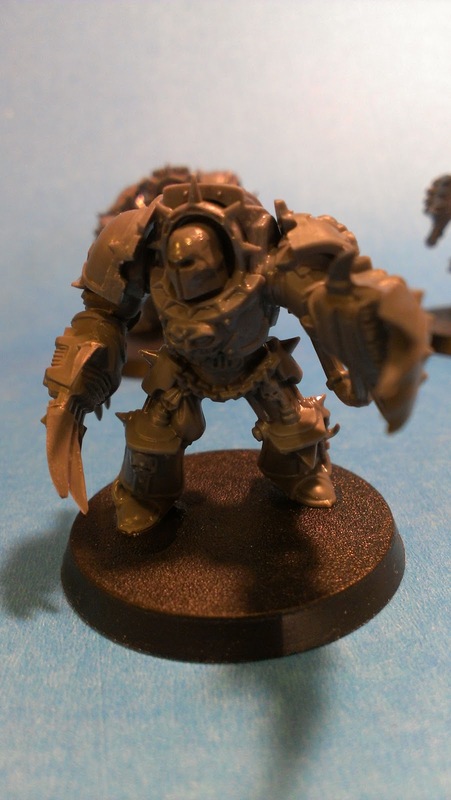 To keep with my Word Bearers theme I needed to make the "Anointed" squad. 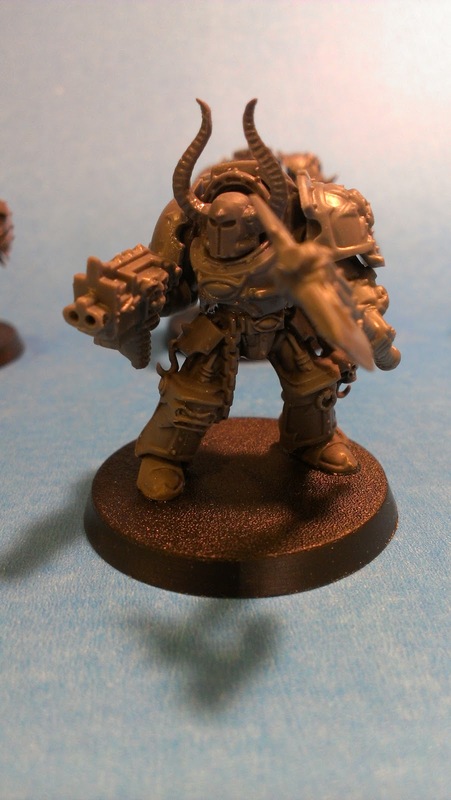 This is not a cheap squad to make because I wanted the main force to have the lightening claws from the Chaos space marine Lord/Sorcerer kit. 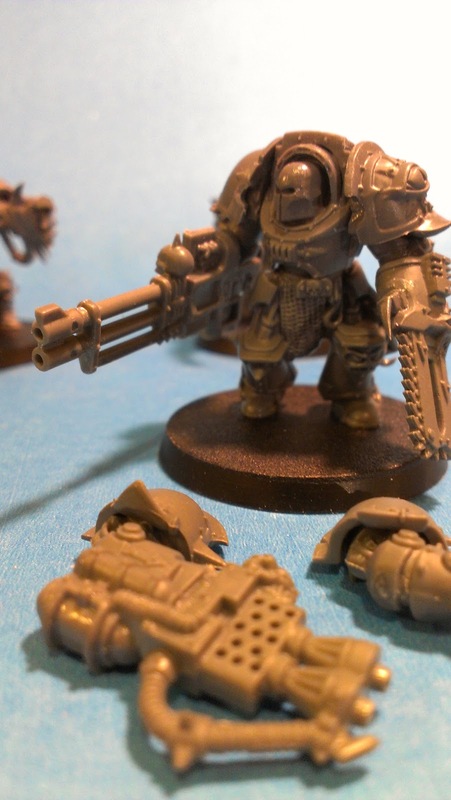 Other than than the claws I just cut off the chain blade from the bolters and magnetized some arms for the special weapon Terminator. For the heads I cut up the Tzeench Sorcerer head from the Lord kit, removing the 'spires' in order to get a more Boba Fett look to the helmets. That's all for now, I'll have allot of updates now that I'm done gathering the forces I can start the painting process. Im recruiting columnists for my new site, which im hoping to develop into an all round 40k resource, (like wow insider for wow) with regular columns and the like. Drop me a line at phoenix@unforgivenstudios.com if you feel you might be interested.